Those operations create some different versions of the same content behind the scenes, and use a concept that you call content lifecycle. In this article you are going to use the API to perform these operations and compare it with doing the same through the user interface.... Process Flowchart � Using pen & paper or some sort of graphing software to create a flowchart of the workflow. So, for example� So, for example� Creating a process flowchart is super simple � simply put draw a flowchart with each block containing a single task. SharePoint Designer 2010 workflow lifecycle. Ask Question up vote 16 down vote favorite. 2. I've build a workflow with SharePoint Designer 2010 on a dev computer. Let's say it's in V1. Now I want to move the workflow to the production environment. What is the correct way to do that ? I've exported the workflow as a template (in a wsp file), then added the solution in the farm solution (didn't... The following code shows how to create the webpart and the Rest API call for the same. Using the Code The webpart is made with Angular JS to show the status of the workflow task of the current item. The following code shows how to create the webpart and the Rest API call for the same. Using the Code The webpart is made with Angular JS to show the status of the workflow task of the current item.... In theory, you should be able to create a custom workflow to update the Request based on the % Complete at the Work Item and the other way around. This may be tricky due to the different sub-item types and there are situations where one cannot reference the other from Custom workflows because of the sub-set of fields available at each custom action. How to: Create a Custom Tracking Participant. Workflow tracking provides visibility into the status of workflow execution. 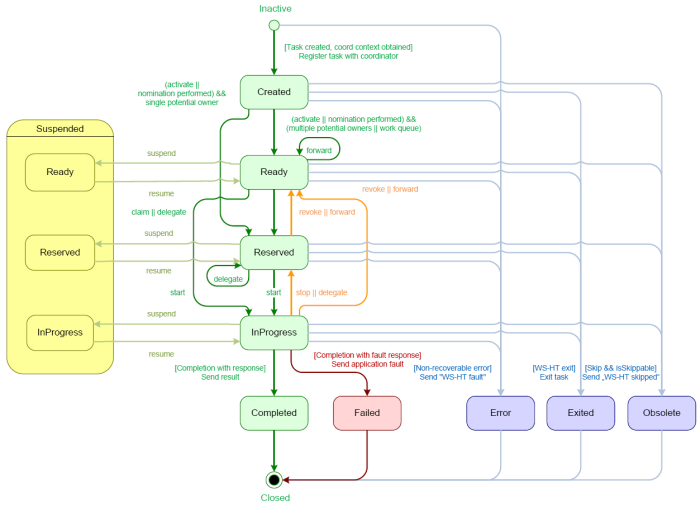 The workflow runtime emits tracking records that describe workflow lifecycle events, activity lifecycle events, bookmark resumptions, and faults. Workflows are stored in Nuxeo as documents of type "DocumentRoute". A workflow instance is created by copy from a workflow model. The lifecycle state for a workflow model is "validated", while the instances can be "running", "done" or "canceled". After you deploy a component to LiveCycle, you can use it to create a process using Workbench, or you can invoke the component�s service(s) by using an invocation method such as the Java API, (Deprecated for AEM forms) LiveCycle Remoting, or web services.